According to recent reports released by Tanzania Chamber of Mineral and Energy (TCME), Tanzania will accelerate several new mines increasing the mining industry production and GDP contribution to the economy. The new mines will change the mining sector landscape by increasing employees in the sector, accelerate government revenues and improve infrastructure in the country. TCME Chairman Joseph Kahama said “Depending on fiscal policies, regulatory frameworks and mineral commodity prices it is anticipated that several new major mines will be brought into production in the next five years or so. 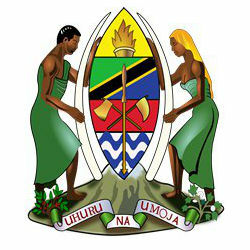 Once they start operating Tanzania will see a major economic transformation”. According to Chairman Kahama the Mantra Mkuju River project is one of the mines expected to start operation soon. Currently there are 434 nuclear power reactors globally, and according to the World Nuclear Association, 650 nuclear reactors will be operating by 2032, this results in uranium requirements worldwide increasing to 98,000 tonnes and 136,000 tonnes by 2035. “This presents great opportunity for uranium developers in the country as there will be a ready market for the concentrate (yellow cake),” Kahama noted. Tanzania will soon be joining the League of African Uranium Countries and is expected to be number three on the list of the continent’s top uranium producers with future FDI inflows predicted at 1 billion USD.